At long last our basement renovation is complete. I’ve been sorting through photos trying to decide where to start, and seeing as it was many a bottle of wine that got us through all of the late night construction work, the bar seems like an appropriate place. It actually works out pretty well, because dirty glasses are tucked away unseen, leaving the bar nice and neat. 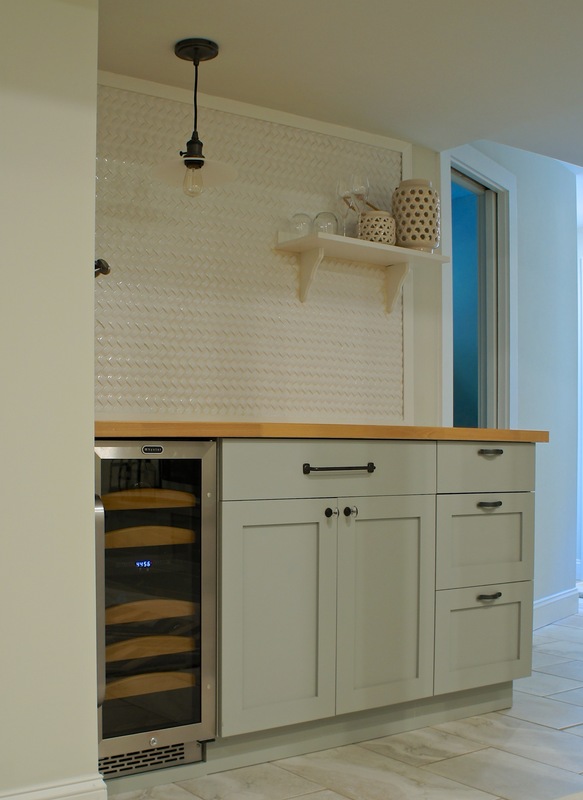 The bar itself consists of Ikea cabinet frames fitted with custom wood doors by Semihandmade (more on that to come). 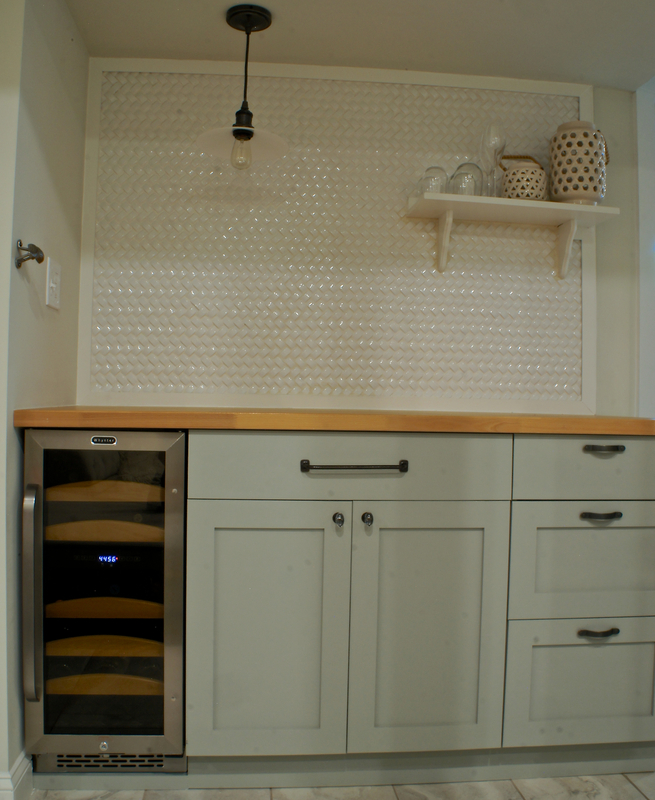 After attaching the cabinets and test fitting the doors, we added a dual zone wine fridge. 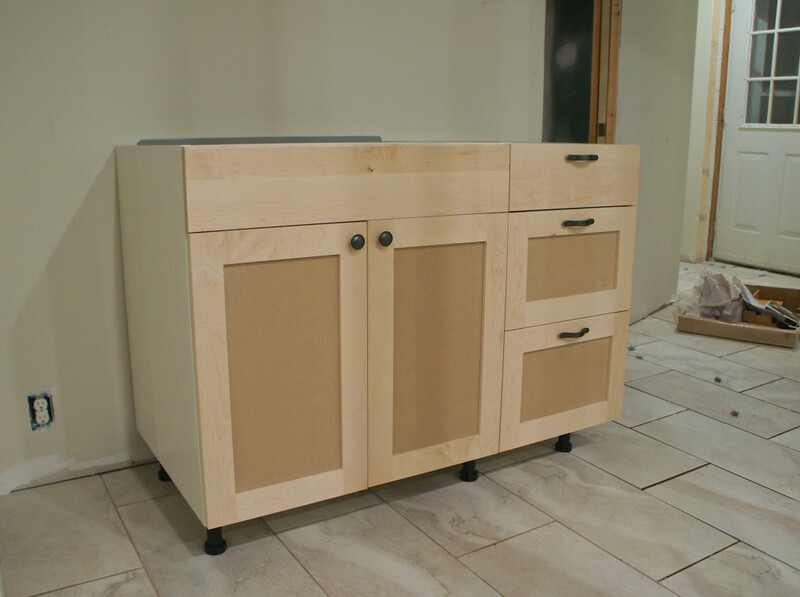 In order to fit a compact refrigerator under a countertop it has to be marketed as “built-in”, meaning it’s vented underneath. 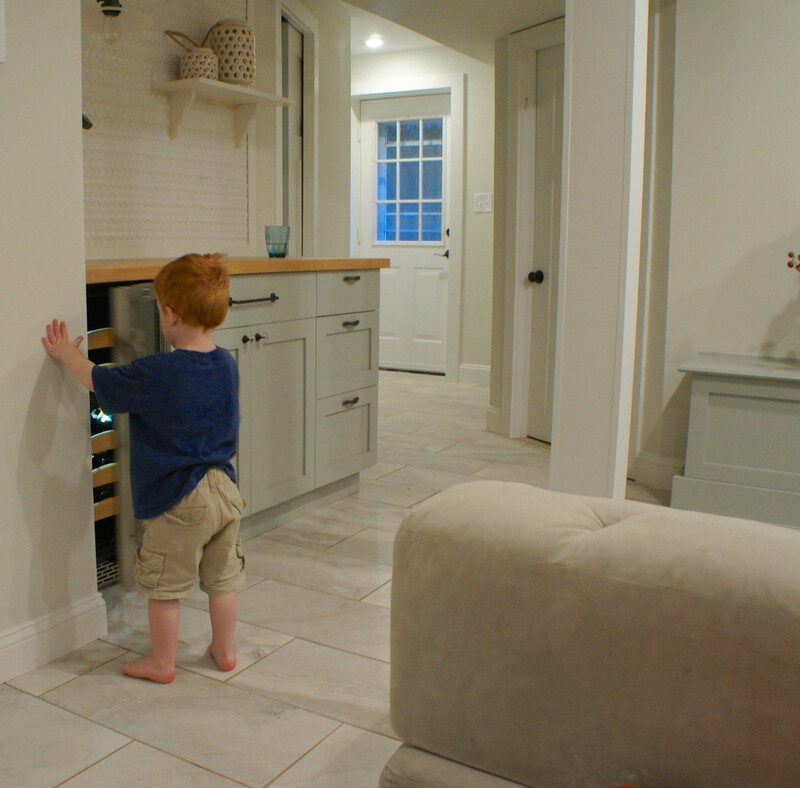 “Built-in” also means “marked up by 300%”, so our tiny fridge ate up a large chunk of the budget. 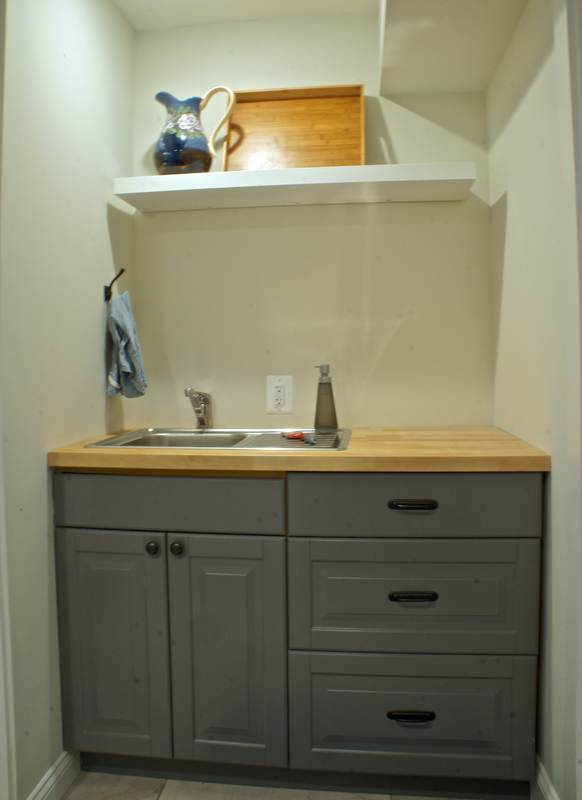 We made up for it by choosing an Ikea Akerby countertop. 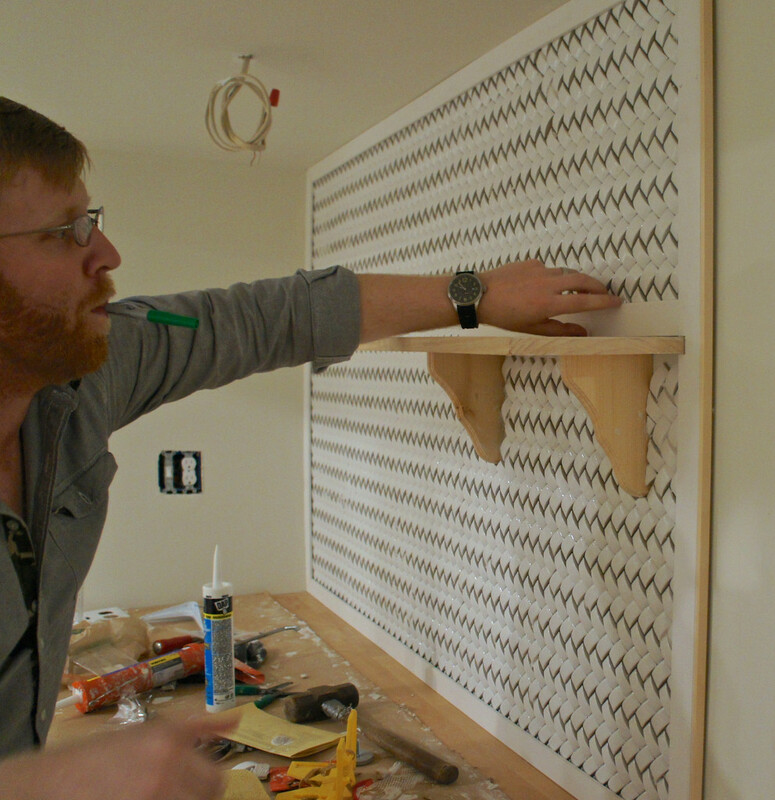 A steal at $99 for a particle board counter, topped with a thin, pre-finished wood veneer. 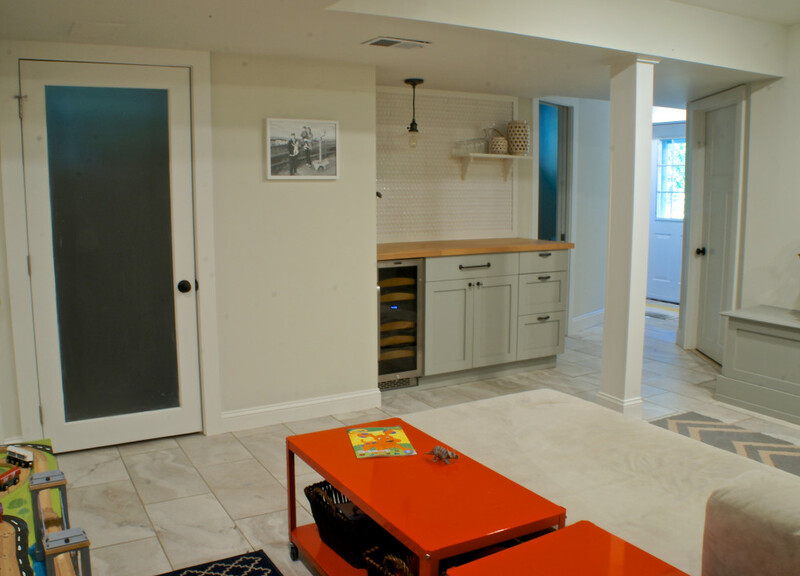 Overall, I think it fits the informal style of the basement better than a solid surface, anyway. 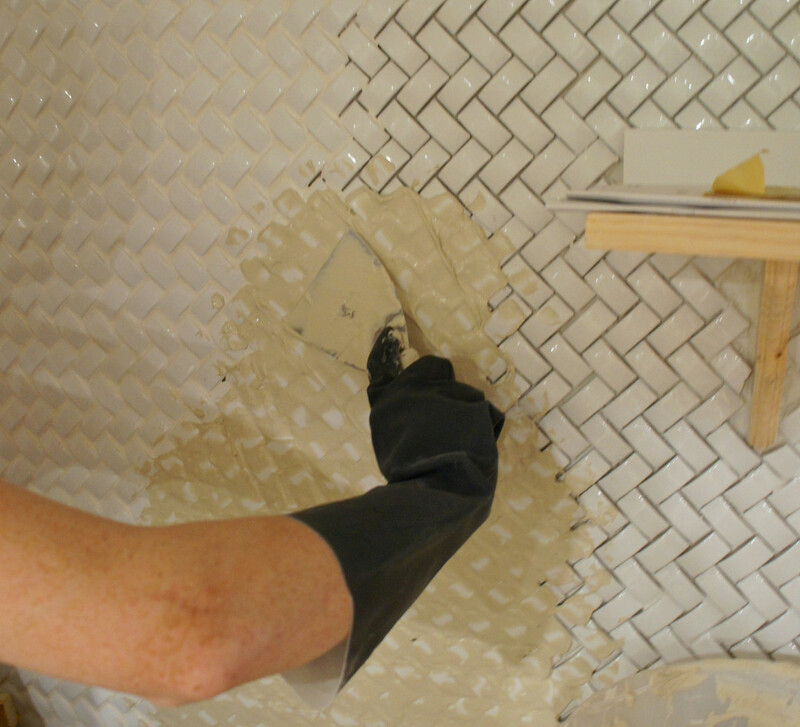 However, that tile would have required wiping out my kid’s college funds. Home Depot sold a similar version for about 10% of the cost. I was so excited to find a 3D tile that fit into our budget, that I just bought it without giving any consideration to the install. It was tricky, to say the least. 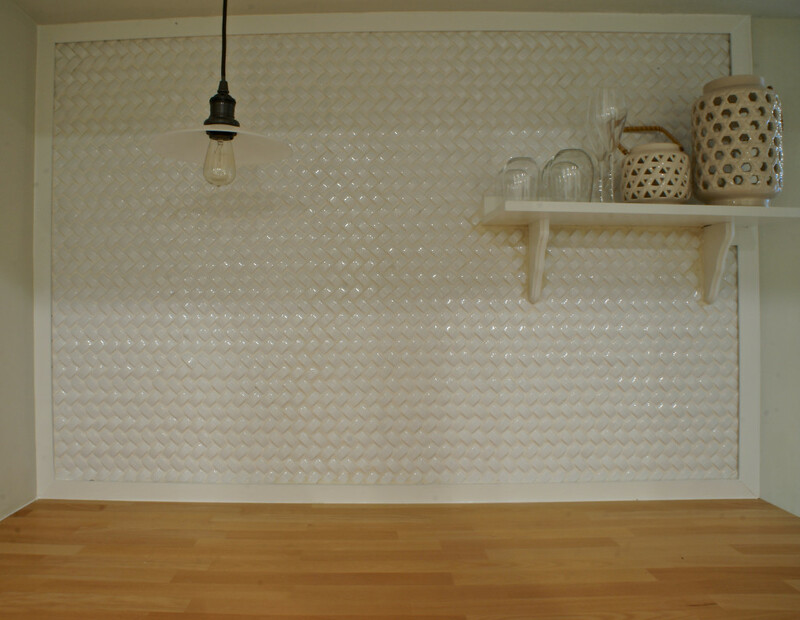 First off, the 3D shape meant the grout lines were huge and couldn’t be filled with a grout float. I ended up using a putty knife. 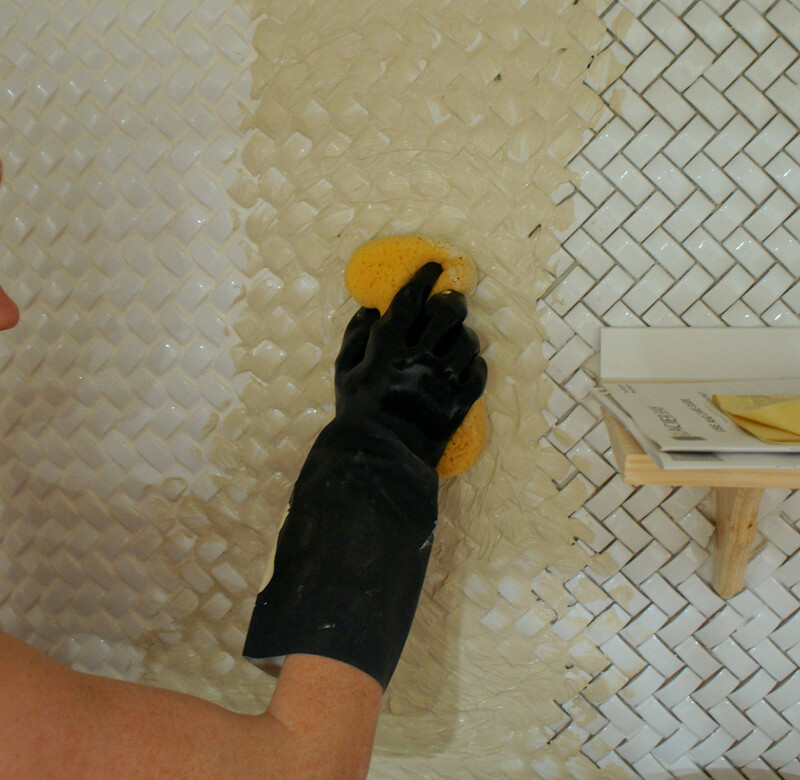 Then, I used a sponge to fill the holes (not remove the excess), before wiping it down. That’s it for now, hopefully I can summon the energy to edit more photos in the next few days. For now, we’re celebrating with a few perfectly chilled glasses of wine.